I got absolutely nothing sewn last week. But I had a good reason. My husband and I took a 4 day trip to Colorado to stay with friends and ski. Sans children. That's right. Grown-up time. It was a lot of travel for two days of play, but it was worth it and we had an amazing time. 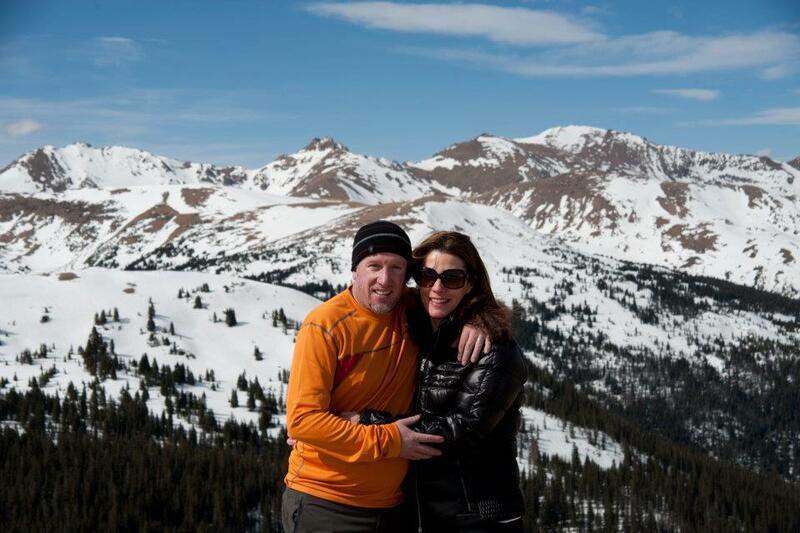 Here we are on our first play day after skiing at Breckenridge. I did blue square trails and was very pleased with myself. Blue squares are not all created equal. This is us after our second day of skiing. We skied Arapahoe Basin and drove up to the Continental Divide afterwards. We may look cold, but it was a balmy 55 degrees, even up that high! 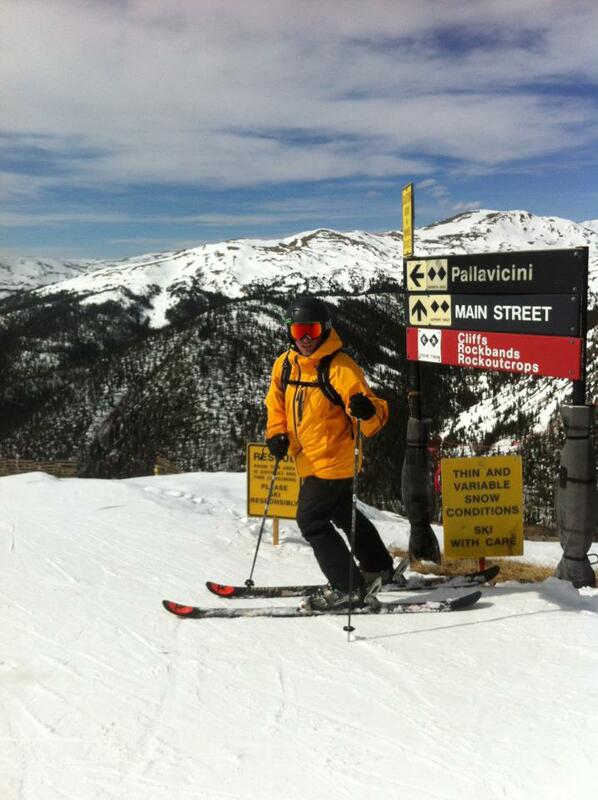 And I have to share, out of pride and complete amazement...my husband is a really accomplished skier. 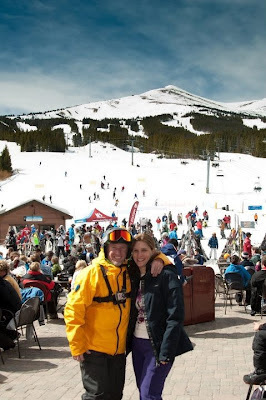 He loved Arapahoe Basin and skied "The Legend". Our friend took this picture of him, because I sure as heck didn't go up that high. Notice the signs...it basically says it's a cliff covered with jutting out rocks. Go ahead and ski it if you dare. I'm happy to be back home and looking forward to posting about what I was able to sew this weekend on Sunday!